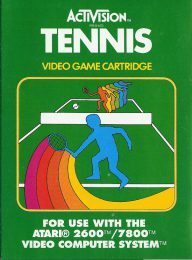 In his recent terrible game compendium Attack of the Flicking Skeletons, YouTuber Ashens reached out to various gaming pundits to discover which 8-bit titles they regretted buying during their youth. It’s no surprise that everybody had a story to tell. Back in the ‘80s and ‘90s, publishers had the knack of luring in would-be victims, making false promises of arcade-style action and coating box art with fancy screenshots that in no way resembled the finished product. My story is a tad different. I knew full well that I was handing over around six week’s pocket money for an absolute turkey. I was young, had a tenner burning a hole in my pocket, and had no idea at the time about just how bad certain games were. 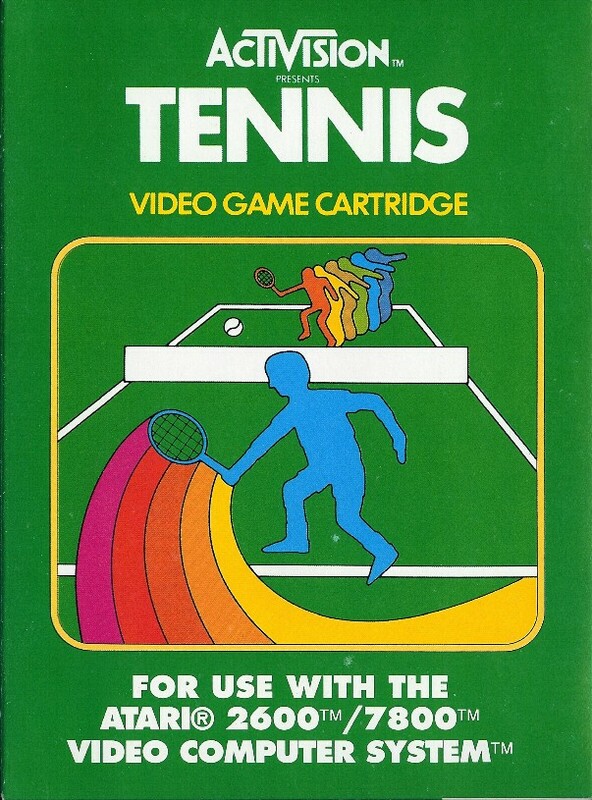 The worst game I’d played up to this point was probably plain old Tennis on the Atari 2600, which simply taught me that sports games weren’t my cup of tea. This story begins in the run-up to Christmas 1991. The arrival of Sonic the Hedgehog, the biggest thing to happen in the gaming world during my youth, made it clear that my next console should be a SEGA. 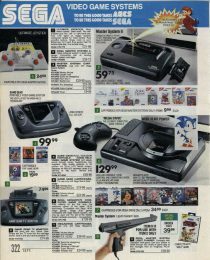 Had I asked for a Mega Drive, there’s a chance I may have received one for Christmas that year, as cheeky as that request may have been – the £129.99 asking price was a tad higher than prior Christmas presents. However, chances of finding an additional game under the Christmas tree would’ve been slimmer still. With Mega Drive games costing £40+ (SEGA was yet to launch their £20 budget range), the pack-in game would have had to suffice for, quite possibly, months. So to avoid potential disappointment, and to prevent my poor old dad from working a few extra shifts that December, I decided upon a SEGA Master System. Lots of kids at school owned one, making lending and swapping games possible, and it had its own version of Sonic the Hedgehog. The fact that it wasn’t as powerful as the Mega Drive wasn’t an issue, as it was still a huge step up from the Atari 2600 – my current console, which was starting to look incredibly outdated come 1991. Another deciding factor was that Master System software started at £9.99. SEGA’s budget range was formed of older, simpler, titles as opposed to the all-singing-all-dancing likes of Mickey Mouse: Castle of Illusion and Wonder Boy: The Dragon’s Trap. Whether SEGA’s £9.99 games were originally released at full price (£29.99) I have never been able to clarify. They came on small 129KB (1Mbit) carts, so I’ve always assumed they launched at a low price, and there’s little evidence to suggest otherwise. This low price point put them in within my pocket money budget, providing I saved for several weeks. It sure beat having to save for several months for a Mega Drive game. That Christmas I received a Master System II (with Alex Kidd built-in), packaged with Sonic and an extra controller. 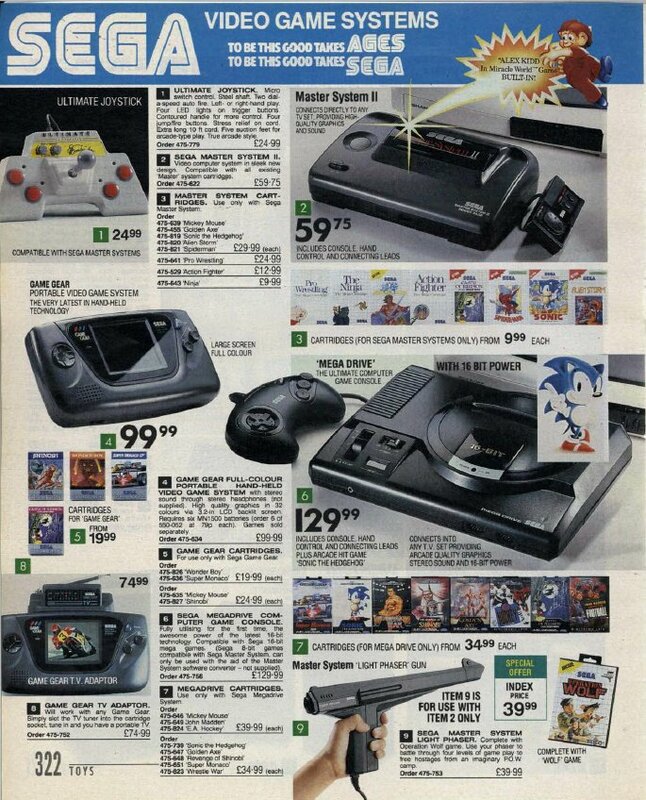 I recall seeing this bundle advertised for either £69.99 or £79.99; significantly cheaper than a Mega Drive. These two games lasted me until I was ready to make my first additional purchase – The Ninja, which every Master System owner seemingly had in their collection. Then, a few months later, came the Transformers-inspired shooter TransBot. While these two were a little simplistic and nowhere near as exciting or vibrant as Sonic the Hedgehog, I still managed to squeeze some enjoyment out of them. Action Fighter – a blatant clone of Spy Hunter, not that I was aware of that at the time – followed suit, which I was more than smitten with. I had my eye on Teddy Boy (aka Teddy Boy Blues) for a while, always giving it consideration when visiting likes of Dixons, Boots and WH Smiths (the few places in town that sold SEGA games), but after blowing a tenner on it I was left rather disappointed. Shame there was no pre-owned stores at the time – the likes of Blockbuster and Electronics Boutique didn’t arrive in town until around 1993, possibly 1994. If it wasn’t already apparent, I was buying these budget games blind, going either on a friend’s recommendation or by the screenshots on the back of the box. This is something that changed the day I discovered gaming magazines. A copy of SEGA Force, featuring Alien 3 on the cover, opened a portal to a whole new world. This issue included a review directory – several pages of invaluable information that instantly removed the danger of ever purchasing another bad game. Of course, I looked up the games I already owned to see what the critics thought. My beliefs were pretty much spot on – TransBot and Teddy Boy weren’t rated highly, but Action Fighter and The Ninja gained positive reviews. I also had Mickey Mouse: Castle of Illusion and Wonder Boy II by this point, received as birthday presents. Come mid-1992, I faced a problem. I’d pretty much worked my way through SEGA’s budget range. Games left to consider included Enduro Racer, which I’d already borrowed off a friend, and Rescue Mission, which required the Light Phaser. I knew I wasn’t going to have a great deal of choice the next time I set off into town with a tenner in my pocket. Games in the budget range were starting to become harder to find too, ushered out by more lucrative and appealing full price games. Cartoon tie-ins were the Master System’s real bread and butter. On that fateful day, a quick dash around town after school unearthed just one Master System game in my price range – My Hero. 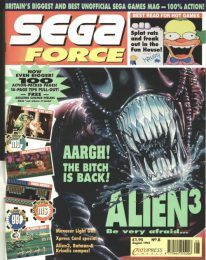 SEGA Force’s review directory informed that it was to be avoided, but it was a case of that or nothing. Well, nothing or go home and replay something I already owned. I’d recently played – and enjoyed – Double Dragon at a friend’s house, and My Hero looked similar, so I ended up coughing up £10 against better judgement. Incredibly bad, was the answer. My Hero had more in common with Kung Fu Master – which was wowing arcade goers in 1986, My Hero’s original year of release – and was so punishing and unforgiving that it was almost entirely joyless. Swarms of thugs constantly appear both left and right, going down with one hit and flying off the screen in an almost comical fashion. All the while you’re left to dodge bombs, balls of fire and other obstacles while progressing through the stage. It’s an almost impossible task, forcing you to keep moving or risk being bombarded with foes. The music – an infectious but irritating ditty – played on a mere thirty-second loop, and while the graphics are certainly colourful it was to the point of garishness. A horrid clash of reds, blues, and greens. To make matters worse, there was no ending screen – just three levels that looped forever. According to the instruction book, level two featured enemies riding pigs. Sadly, I never got to see this sight for myself – level one proved impossible to beat, try as I might. It wasn’t long after until a bric-a-brac shop opened nearby. They took My Hero, TransBot and Teddy Boy off my hands for a fiver, teaching a valuable lesson about how little retailers pay out for used games; a lesson I had to learn anew once Electronics Boutique opened in town. wheres the rest of the article? a bit of an abrupt end! Oh! I simply thought any more than 1200 words of a retro ramble would be off-putting. I spent that fiver on a rather deadly looking catapult, which was confiscated within mere seconds of taking it out my school bag. Fin! 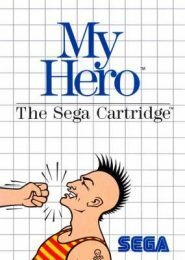 My Hero, makes my top 10 sega master system, an absolute classic! I bought it as a kid and played it to death and it now takes pride of place in my collection.